VMworld 2012 is underway in San Francisco. Once again, a record number of attendees is expected to gather at the Moscone Center to see what VMware and their partners are announcing. 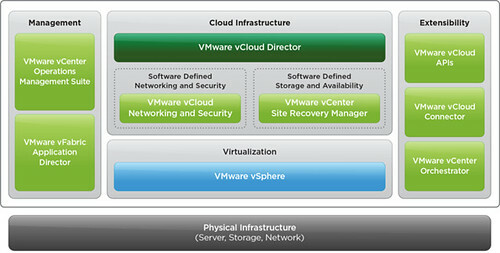 From a VMware perspective, there is plenty. Given the sheer quantity of announcements, I’m actually going to break up them up into a few parts, this post being Part I. Let’s start with the release of vSphere 5.1 and some of its notable features. Enhanced vMotion – the ability to now perform a vMotion as well as a Storage vMotion simultaneously. In addition, this becomes an enabler to perform vMotion without the shared storage requirement. Enhanced vMotion means we are able to migrate a virtual machine stored on local host storage, to shared storage, and then to local storage again. Or perhaps migrate virtual machines from one host to another with each having their own locally attached storage only. Updated 9/5/12 The phrase “Enhanced vMotion” should be correctly read as “vMotion that has been enhanced”. “Enhanced vMotion” is not an actual feature, product, or separate license. It is an improvement over the previous vMotion technology and included wherever vMotion is bundled. Next Generation vSphere Client a.k.a. 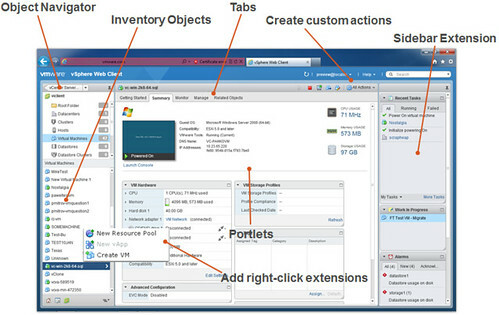 vSphere Web Client – An enhanced version of the vSphere Web Client which has already been available in vSphere 5.0. As of vSphere 5.1, the vSphere Web Client becomes the defacto standard client for managing the vSphere virtualized datacenter. Going forward, single sign-on infrastructure management will converge into a unified interface which any administrator can appreciate. 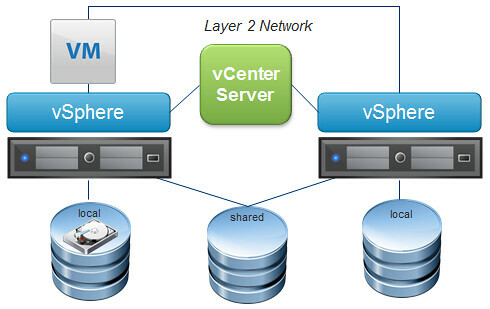 vSphere 5.1 will be the last platform to include the legacy vSphere client. Although you may use this client day to day while gradually easing into the Web Client, understand that all future development from VMware and its partners now go into the Web Client. 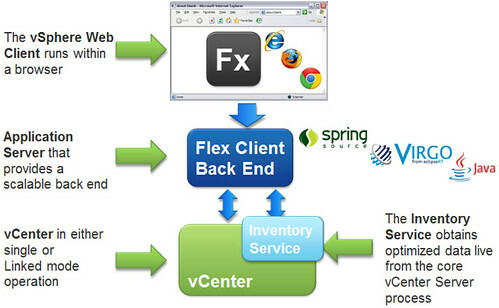 Plug-ins currently used today will generally still function with the legacy client (with support from their respective vendors) but they’ll need to be completely re-written vCenter Server side for the Web Client. Aside from the unified interface, the architecture of the Web Client has scaling advantages as well. As VMware adds bolt-on application functionality to the client, VMware partners will now have the ability to to bring their own custom objects objects into the Web Client thereby extending that single pane of glass management to other integrations in the ecosystem. If DNS servers are defined for the selected external network, DNS requests will be sent to the specified server. If not, then DNS requests will be sent to the default gateway of the external network. External network connectivity for the Organization vDC Network can be changed after creation by changing the external networks which the edge gateway is connected. DHCP can be configured on Isolated Organization vDC networks. A new Independent Disks count column is added. Tab is not shown if no independent disk exists in the vDC. Hardware tab->Hard Disks section, attached independent disks are shown by their names and all fields for the disk are disabled as they are not editable. That’s all I have time for right now. As I said, there is more to come later on topics such as vDS enhancements, VXLAN, SRM, vCD Load Balancing, and vSphere Replication. Stay tuned! Edge GW provides really nice features at the org (vdc) network level but … nothing new at the vapp network level ? LB and multi nic edge would be awesome within vapps. To think that provisioning on the new SDDC takes only 3 minutes is crazy. Good writeup. Under HWv9 you mention memory overhead increased. Did you mean to say that the memory overhead has decreased per VM?